The range of potential theft crimes that an individual can be accused of in New Jersey runs the gamut from simple shoplifting to aggravated robbery and complex fraud. N.J.S.A. 2C:20-3 generally governs theft crimes in the state of New Jersey, whether the defendant is charged in Robbinsville, Hamilton, Trenton, North Brunswick, Princeton, or anywhere else in NJ. Regardless of the crime alleged, a theft conviction can hang over your head for years to come, in the form of jail time, lengthy probation periods, and general embarrassment. Having an experienced Lawrence theft crimes attorney on your side throughout the legal process can make all the difference in your theft crime case. At the Law Offices of Lauren E. Scardella in Hamilton, NJ, I strongly advocate on behalf of each and every one of my clients from arrest through resolution of the case. In my experience, open negotiations with the prosecution through each stage of a theft crime case can be key to a successful resolution. I have successfully defended hundreds of cases and have over a decade of experience navigating the New Jersey criminal justice system, and I will put my skills to work for you in developing the best possible defense strategy for your theft offense case. I am dedicated to my clients, and I offer 24/7 support, as well as a friendly, understanding environment. Each theft crime case is unique, and in my office, each defense is uniquely formulated to fit the specific facts of the case and to meet the goals of the client. Depending upon the value of the property taken and the absence or presence of aggravating factors, a theft crime can result in a multitude of different penalties. 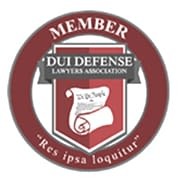 For very serious cases, such as carjacking or robbery where serious harm is inflicted or the individual is accused of carrying a deadly weapon, the state can prosecute the individual for first or second degree criminal charges. Conviction for a second degree theft offense can be punishable by up to ten (10) years in prison, while conviction for a first degree theft crime can lead to twenty (20) years in jail, in addition to substantial monetary penalties. 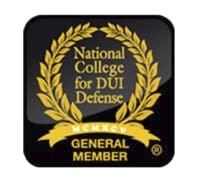 Second degree charges may result even if no violence is alleged — if the value of the property taken exceeds $75,000, or if the property that taken was a controlled substance. Even if your theft charge seems relatively minor, I will work tirelessly to minimize potential penalties and avoid conviction if at all possible. Building a client’s defense can involve interviewing witnesses, evaluating credibility of witness testimony, analyzing the prosecution’s evidence, and identifying and evaluating any video surveillance of the alleged theft crime. It is important to contact my office as soon as possible after you have been arrested or learn that there is a warrant out for your arrest. I can help you understand your rights in advance of arrest, negotiate bail, and argue to have your charges reduced in the period between arrest and trial. In some cases involving a first offense, pre-trial intervention (PTI), which is a supervised probationary period, may even be an option to help the client avoid formal prosecution and conviction altogether. I have been recognized nationally and on a statewide basis for my success both in and out of the courtroom. I was named a Rising Star in the 2018 Super Lawyers publication, and in 2017 I was named Young Lawyer of the Year by the Mercer County Bar Association. 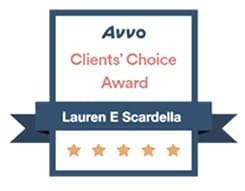 I have also obtained a perfect 10 AVVO rating for exceptional legal services. Contact my Hamilton office today so that I can put my decade of criminal defense experience to work for you. The prosecution must prove your theft crime case beyond a reasonable doubt, which provides many opportunities for my defense team to craft a strong and viable defense. 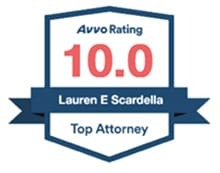 At the Law Offices of Lauren E. Scardella in Hamilton, NJ, I am dedicated to obtaining the best possible outcome in your case. I represent clients charged with theft of movable property in Robbinsville, Trenton, West Windsor, and everywhere else in New Jersey. I offer flexible scheduling options, and I am always available to discuss any questions or issues that you may have. For your convenience, I also accept all major credit cards. Your first visit to my office is free of charge, so contact me at 609-587-1144 to schedule your free consultation, or fill out this online form. The office is located at 2653 Nottingham Way STE 1, Hamilton Township, NJ 08619. In some states, relatively minor theft crimes are referred to as petty theft. New Jersey generally classifies these types of crimes as disorderly persons offenses. A theft crime is a disorderly persons offense if the value of the property taken does not exceed $200. A disorderly persons offense, however, can still result in up to six months of jail time and monetary fines. How is restitution different than a monetary fine in a theft offense case? In many theft crime cases, a convicted party will be required to pay restitution to the person from whom he or she stole the property under N.J.S.A. 2C:43-3. While monetary fines are imposed as punishment, restitution is meant to make the victim financially whole again, and it will generally be imposed in addition to monetary penalties and any other punishment.